HomeBlog July 2016 5 Must Try Mod Podge Summer Kids Crafts! 5 Must Try Mod Podge Summer Kids Crafts! 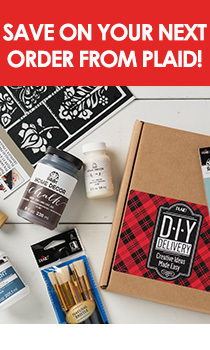 Get out your Mod Podge and fire up your Mod Melter, because it's crafting time! These incredibly cute kids crafts are a great way to keep little hands busy for the summer, while also giving you the opportunity to flex your DIY skills. Thankfully, these Mod Podge kids crafts are relatively simple, so you don't have to worry about embarrassing yourself in front of your kids - at least, not this time. Who doesn't love tic-tac-toe? What's there to dislike, especially when you can kick this family-friendly activity up a notch with a little glow-in-the-dark action. Use a wood board, some insect-themed cut-outs, and a little Mod Podge Glow in the Dark to transform a simple strategy game into a fun, lights-off competition. Don't throw away that empty milk carton just yet. Reduce, reuse, and recycle your way into these craft projects featuring everyday, household objects. With empty containers and toilet paper rolls, you can create an adorable assortment of avian abodes fit for the most discerning of your imaginary bird friends. These delicate, charming little birdhouses come equipped with the bird, so no need to whip out the bird seed. Kids love looking at themselves. Give them the opportunity to plaster their own faces all over your house with these super-fun planter pots. Use a little Mod Podge Photo Transfer medium to create these hair raising crafts that are sure to delight. Kids will enjoy seeing plants "grow" from their head, and you'll get a kick out of finding another way to appreciate their adorable little faces. Introduce your little ones to the wonderful world of DIY dioramas using Mod Melts and mini toys. Trim, scrapbook paper, and paper lids set the scene for these adorable vignettes, and they're an inventive way to create lasting memories with children's toys. With a little artistic ingenuity, you can find a better use for your kid's tiny trinkets, other than trapped in your vacuum or terrorizing your bare feet. Finally, an excuse for buying 10 cans of potato chips at a time! Transform those remarkably useful tall cans into a wacky bowling set with some tissue paper, a funky green boa, and downloadable "monster faces". Add in some Mod Podge Glow in the Dark and you can turn evenings in the backyard into your very own cosmic bowling alley. Try not to eat all those potato chips at once. Follow us on Pinterest for more Mod Podge-inspired craft ideas and other kid-friendly DIY projects, and be sure to pin this for later below!